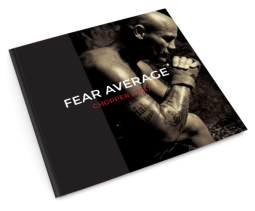 I recently had a article published about me and my DVD, Fighting Fit at 50 in Saturday..
As I walked out the door that would lead to my freedom, I know if I didn't leave my bitter..
Chopper, a friend, a mate and a training partner… I have never meet anyone else like him. Discipline personified. Chopper is the first person I call when I need a reality check, his training is tuff. His loyalty and respect is why we have been close friends for almost 20yrs. I am the star, but what he can do at his age is amazing… he just wears too much after shave…ha ha. Love training with the old fella, Chopper makes me work hard which makes playing easy in comparison. I am just waiting for him to slow down a bit so I have more of a chance of tagging him. Chopper is a fantastic trainer, I really enjoy my time with him, can’t believe he is the age he is… awesome.